SURREY, BC – Bring Your Porter to the Slaughter reports that Russell Brewing has released the latest in the Russell Specialty Series of limited edition beers. We all have something or someone that is dark and bitter and best served cold as ice. Now you can have one from Russell instead of from your past! Our Black IPA gets its dark color from Midnight Wheat and Blackprinz Malt. This IPA is packed with Cardinal, Centennial and the new German hop Ariana giving it a little German twist. 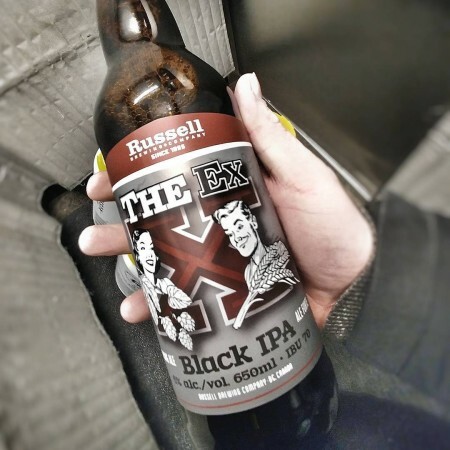 The Ex Black IPA is available now in 650 ml bottles at select private liquor stores in British Columbia.